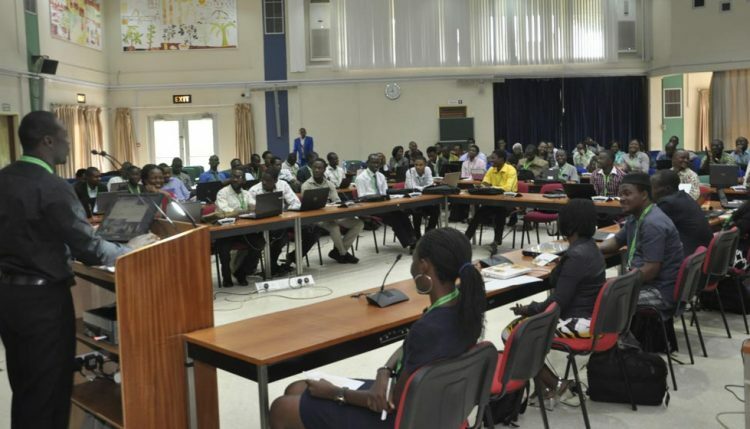 During the 19th annual symposium of the International Association of Research Scholars and Fellows (IARSAF) at IITA, over 200 young researchers were encouraged to undertake agricultural research for providing lasting solutions to the bottlenecks threatening food security and economic growth in Africa. Participants at the IARSAF annual meeting. 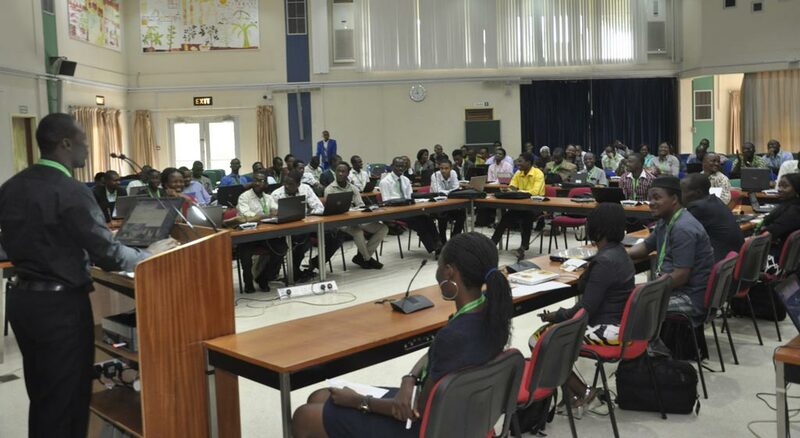 The symposium took place at IITA’s conference center on 27-28 April, with the theme “Research Innovations and Sustainable Entrepreneurship for food security and growth”. It provided a platform for the researchers to exchange ideas, showcase their research results, hone their skills, and network with other researchers. IARSAF president, Richard Olayiwola (in photo), stressed the need for increased agricultural research and innovations that would solve the main challenges of food insecurity and poor economic growth in Africa. The presentations by students, seasoned scientists, and industry experts, explored the role of technology in food security, the socioeconomic impact of agricultural innovations, and food quality and safety, among other pertinent topics. The postgraduate students and young researchers were encouraged to translate relevant findings into commercially viable products through IITA’s Business Incubation Platform (BIP), which seeks to bridge research and dissemination. Frederick Schreurs, BIP CEO, invited the participants to turn their research ideas into profitable ventures that create impact. Additional training sessions on reference management, proposal writing, and public speaking provided the participants with an opportunity to hone vital skills needed to advance and launch their research ideas. The annual IARSAF symposium promotes the exchange of academic and research ideas. It also aims to create opportunities for research results to reach end users.